Here at Guru we’re huge fans of sales content that you can put to use right away. It must either be actionable, truly insightful, and/or add value for sales professionals. To compile our Weekly Enlightenment newsletter we primarily have sourced our content on Twitter. But....With such a high number of sales-related accounts on Twitter, it has become a very noisy place. Especially so when you’re only looking for the most influential people and businesses to follow for the best sales practices, tips, and advice. Peter Kazanjy is the founder of TalentBin, which was acquired by Monster.com in 2014. Self described as an “accidental early stage sales leader with the scars to prove it”. He’s a great person to follow for learning the ropes, and bettering yourself as a sales professional of any caliber. He’s now spending a lot of time writing a new book called Founding Sales, which is aimed at people in first-time sales roles. Be sure to check out a sneak peek of his book through the First Round Review. Jill is a well known keynote speaker, a sale acceleration strategist, and a best selling author. Her Tweets are extremely straightforward, and very focused on helping you speed up your sales process. A lot of her tips are about messaging, positioning, and process. She tweets great tips for any sales professional who wants to keep their skills sharp. Another very well-known speaker and founder of sales CRM Close.io, Steli is extremely consistent with the sales enablement knowledge he shares. His advice is very honest and useful, ranging from topics on prospecting, outreach, following up, and closing deals. He’s a great marketer, too, and is currently focused on a weekly podcast called Startup chat, which is geared for startup founders and early stage employees. Closing call is a community driven content website that focuses on everything that is sales. Their Twitter account is very useful, as they take the time to curate the best content that is posted to their website. One of the most well known sales conferences that is for early/growth stage B2B’s, definitely has one of the best Twitter accounts to follow. They do a fantastic job of pulling out the most informative content and tips only for sales pros. This is one Twitter account we highly recommend every salesperson follows. Mark is the Chief Revenue Officer of Hubspot Sales Division. Self dubbed “sales scientist”, which isn’t far from the truth. The content he shares regularly is helpful, informative, and will keep you on top of the right trends. Kyle is the CEO of sales software SalesLoft. His Twitter is focused around sales development, customer acquisition, and creating a healthy organization. His transparency is refreshing, and he shares tons of very actionable advice. Max brings tons of great content to your Twitter feed, and his content is perfect for any team members in the trenches. He cares about finding the best sales tips, keeping his focus around making the sales process more efficient, and building individuals selling skills. Top Sales World consistently delivers helpful resources from the industry’s best-known sales experts. They have one of the largest audiences with nearly 110K followers, but their content stays focused on sales, which makes it a great resource to follow. Heather is one of the best resources to follow when it comes to emailing, and specifically cold emailing. Her feed is filled with practical tips and how-to’s to help you write better emails that generate results. 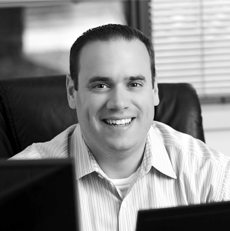 Mark has a specialized focus for B2B and enterprise sales. Not only can you expect to see some great content being produced and curated, you’ll be glad to know he is regularly booked to speak in front of entire teams of startups. He’s also the founder of the Enterprise Sales meetup in NYC. Who do you think has the best twitter account for salespeople to follow? Let us know by commenting below or on Twitter! Also, if you want to read more tactical sales articles from authors like these, make sure to subscribe to our Weekly Enlightenment newsletter, for the best round-up of actionable sales tactics.